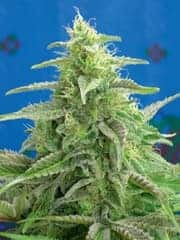 How to Grow Amnesia Haze Feminized Seeds? Considering the amount of pampering the plant need and the labor-intensive preparedness of the grower, it is definitely a not-so-easy-to-grow type!One must pay close attention to the amount of warmth and sunlight the plant gets. It prefers balmy Mediterranean climate, especially if you opt for growing them outdoors. It is preferred to be grown indoors due to its susceptibility to pests and bud rot!The flowering period lasts for about ten to eleven weeks. Keep the plant in a fully equipped greenhouse where environmental factors can be monitored closely. Another reason for keeping the plants away from outside environments is amnesia Haze that is famous for inviting both infections and pests. Amnesia Haze is a weed entrepreneur’s friend as it is popular for providing maximum yield and high-quality buds. Ambient temperatures within the 70 to 85 degrees Fahrenheit are a perfect environment to grow the plant. It is advised to opt for compost tea foliar spray regularly to keep the plant from being infected with diseases and protected against pests. Being a sativa variant having an extended flowering period, it is not recommended growing in areas where temperatures don’t remain warm during the falls. Outdoor growers are advised to use large growing pots along with regular pruning sessions to keep both the spread and size of the plant at a manageable level.The heavy buds need to be supported and well well-ventilated to keep theaccumulation of excess moisture at bay. Amnesia Hazeis often associated with being the most pleasant smelling variety of weed. It boasts of fresh cut lemons in the higher notes with deep undertones of wet earth. The taste of Amnesia Haze is undoubtedly exceptional which is composed of both citrus and earth when inhaled and a sweet aftertaste that tends to linger in the tongue for a while upon exhale.